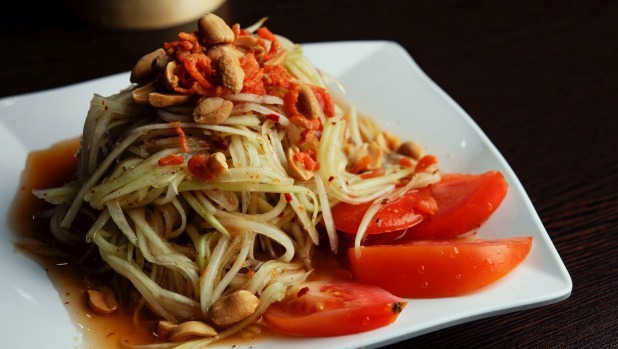 There's a dish on the menu at Fairfield's Lao Village that I think is one of Sydney's must-try dishes. It's a simple dish, and a cheap one too. You might see it on the menu and mistake it for a side dish, but for me, it's the main event, and the main reason I've made the journey out to Fairfield again and again since I first tried it. 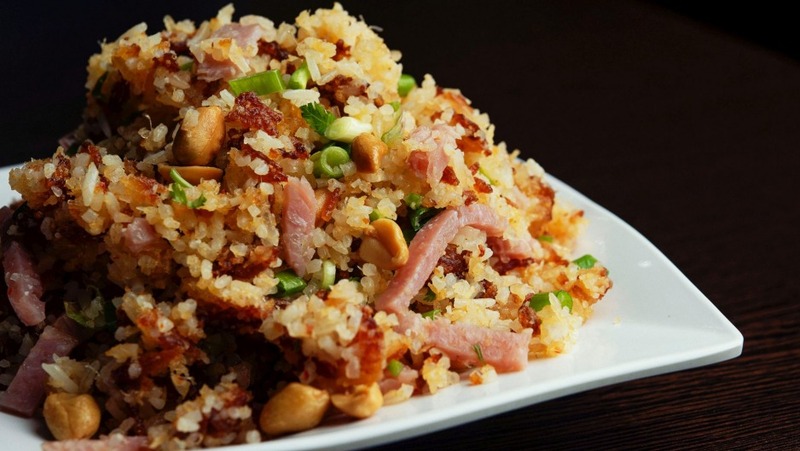 That dish is nam khao, crunchy fried rice with Lao style ham. It's a scientific fact that fried rice is always good, but in Laos they take it to the next level by rolling coconut rice into balls, deep frying them until golden and crisp, then busting them apart and combining with fermented pork, peanuts and herbs to make a phenomenal salad of equal parts sweet, sour, salt and crunch. Lao Village's fried rice recipe hasn't changed since the restaurant opened 36 years ago by the Mounarath family. "Back in 1983 when our parents used to run the business, I'm pretty sure they were the only Laotian restaurant in the area for a good five years, and then a couple other Laotian restaurants popped up close by," says current owner Lucky Mounarath. "When my parents first started, their clientele consisted of mostly of the Laotian community looking for a taste of home. We even had (and still do!) Laotian customers all the way from Canberra who used to come and get take away to take back to Canberra." Originally located on the RSL side of Fairfield's Anzac Avenue, Lao Village moved across the road in the '90s and still calls that small, humble location home, however the popularity of their food has seen them expand to a second, much bigger location around the corner on Dale Street, which is open seven days a week. The Anzac Avenue restaurant operates only on Fridays, Saturdays and Sundays. While the location has changed, the menu remains the same, a small but essential selection of Lao favourites. "The recipes we have were all handed down from dad, we love the dishes ourselves so we would never change them," says Lucky. "When I dropped out of school in year 10, my dad made me come to the restaurant to help out. I started as kitchen hand and eventually became one of the main cooks. I think I was about 19 or 20 when my dad trusted me enough to leave me on my own to cook for the customers. I'm in my 30s now and I'm still cooking at Lao Village, while dad has retired and my sister Linda looks after front of house." 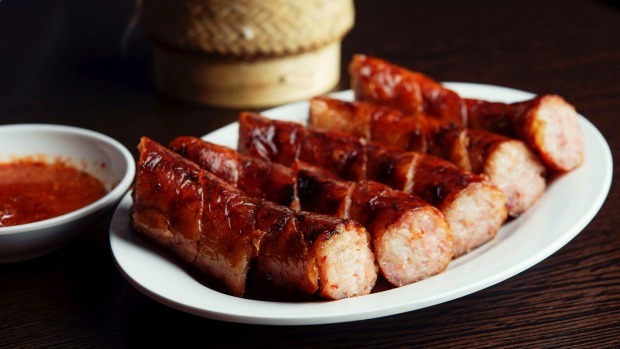 While some, including myself, may be inclined to only order three serves of the crunchy fried rice, there's a lot of joy to be found elsewhere on the menu, like the excellent Lao pork sausages, brilliantly fatty and slightly sweet, served with herbs and cabbage to be wrapped inside of and dipped into a sour, spicy sauce. Other favourites include a plate of barbecue ox tongue, a spicy raw beef salad and an even spicier paw paw salad, made Lao style with an intoxicating black sauce of crab and anchovy. Come with a group so you can try as much of the menu as you can, or so you can cover your entire table with serves of crunchy fried rice. Both of those options are equally good. 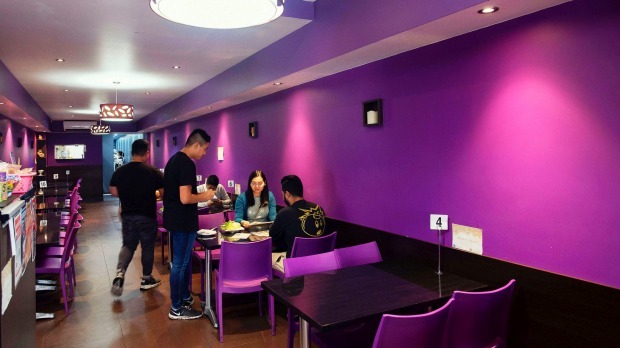 Open for lunch and dinner every day except Mondays, Lao Der is one of the few restaurants on Parramatta's "Eat Street" that's actually worth eating at. Sydney's Shark Hotel is the unlikely home for this busy Laos and Thai restaurant. Head straight to the grill section of the menu and order some sausages, tongue and a killer Lao style charcoal chicken. A great place for groups in a fun, stylish pub setting. A handful of Lao specialties sit alongside some great Thai drinking food, such as the banana flower salad with fried chicken.